“To grow our business, we knew we needed to update our website and marketing materials. 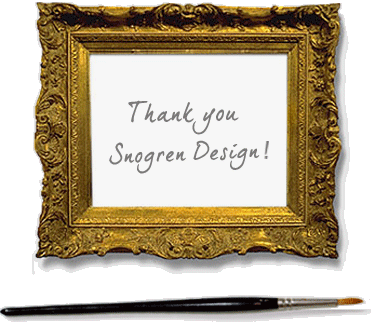 Snogren Design exceeded our expectations in virtually every aspect of this endeavor. "John Snogren is a website design artist. The logo he designed for us is full of vibrant colors and images that have totally reshaped our brand. His talents extend to suggestions on the feel of a Web site, word choice and what contributes to successful marketing. Plus, he is very easy to work with. I highly recommend him to anyone looking for a crisper, cleaner presence on the Internet." with content management strategy, making my articles look sharp and engaging. Bob Lipovsky, President, Nautilus Builders, Inc.
"Thank you for a fantastic logo and website. You've more than fulfilled our expectations!"